With the Calorie Counter app by YAZIO, you can manage your daily food diary, track your activities and lose weight successfully. Counting calories and losing weight has never been so easy! More than 10 million people have already achieved their New Year’s resolutions with YAZIO. Be a part of it. – Alexander: "I've been using the Calorie Counter since April and have lost up to 60 lb. The app is very helpful for losing weight." – Claudia: "The new Calorie Counter app is great – just like the super fast and reliable support!" – Michael: "I stopped smoking 18 months ago and gained nearly 40 lb. Now I have to go back down – I will give it a try with the YAZIO Calorie Counter." – Nutritional plans for low carb, high protein, etc. – No more advertisements – who doesn’t love that? You can buy PRO via in–app purchases within the app. YAZIO PRO is significantly cheaper than comparable Calorie Counter apps for diet and weight loss. If you go PRO, the payment will be charged through your iTunes account during purchase confirmation. The subscription will be auto–renewed shortly before the subscription period ends, maintaining the same price and subscription type you previously purchased, unless you unsubscribe no later than 24 hours before the subscription ends. Subscriptions can be managed through your iTunes account after purchase. It is not possible to refund a subscription or cancel a subscription during the current period. 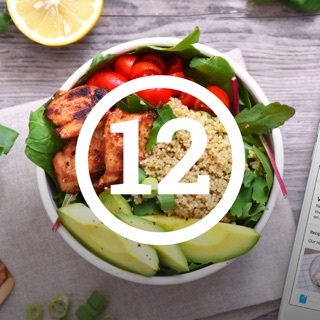 Do you want to help make the YAZIO Calorie Counter an even better nutritional & diet app? We always welcome your suggestions and feedback. We always love surprising you with updates packed full of great new features and functions, but sometimes we think less is more. Fancy an update that simply keeps your app feeling fit and fantastic? You got it! Don't worry, we did sneak in one special feature for you this time around. If you've been using the Fasting Countdown feature, you'll now receive real-time notifications for when your fasting time starts and ends. There's no better way to keep your fasting on track! I’ve used a few calorie counter apps before, and this one seemed good at first. However, there are a few options that are not user friendly. I have the free version so they may be better on the subscription version. But, for one it’s hard to determine exactly where it is deriving the caloric limit from and it doesn’t automatically update with weight loss or gain, you must manually recalculate each time. Then, it doesn’t tell you the exact calories you have expended for the day (even wearing an Apple Watch), it just gives you a goal to burn each day based on information entered in to the bio. I have yet to determine what the color of the circle for each day indicates since there is no explanation for that. Also, I’ve yet to come across any of my foods that have the barcode information entered into their food database. A lot of the foods I'm scanning are common foods. It’s extremely time consuming and frustrating to have to enter all the information about every ingredient in each meal in manually. It also only gives a few options for serving sizes instead of multiple options. Most of the serving sizes on the packaging of my foods don’t even match up with one of the serving size options given. Lastly, the app crashes on my iPhone X every time I try to search for a food. This is by far the most frustrating issue I’ve had with it. If it crashes every time I try to enter my food, how am I supposed to actually track my calories? Due to a bug which we had in the iOS app, the barcode scanner didn't search for the correct barcode number. Therefore, no results were shown in this case. We've just fixed that with the version 4.8.4. I’ve been using this app for a couple of weeks. Last time I counted calories was in the Fitbit app. This app is much nicer and more user friendly, in my opinion. The food database isn’t quite built yet but you have the option to submit a public entry for all to see; meaning the more people submit, the more the database builds. However, there are still pretty good amounts of foods there already. The only thing I find frustrating is that everything is measured by “OZ” (especially 1 OZ) or “G” and it would be nice to have more options such as “1 cup” or “1 bag” or “1 sandwich” that can be filed under the respective nutrition counts. Maybe I’m missing something? However, that is not enough to make me give up on YAZIO. I LOVE the Siri shortcuts that have been built in, and I use the “add water” shortcut daily. It makes the tedious efforts of the whole idea so much more convenient. I’m looking forward to sticking around and seeing how YAZIO develops. I was a long-term user of another popular calorie tracking app, but found myself looking for an app that synced better with other tracking apps. Enter YAZIO. So far, I find the app absolutely fantastic. The UI is clean and simple, the tracking feels accurate, and the logging is very nice. I’m starting to feel like a permanent convert! However, there is one significant issue: the “Add Food” capability. It certainly makes sense that the food library is smaller than some apps that have been on the market longer. I can’t fault them for that, and have been more than willing to take the time to add foods to their library that I eat and can find the nutritional info for. The issue is that there’s no way to “name” a standard serving. This makes adding food, or logging food another user added, extremely difficult. I understand that it’s oz based, but some menus don’t provide caloric info based on the oz’s of, say, rolls. They tell you how many calories are in a roll! If they offered the user the chance to rename a “standard portion” to something more useful (for example, “1 Roll”) it’d make the database so much more useful! Other than that, the app is fantastic, but this ends up being a bit of a deal breaker. I don’t want to have to add custom foods every time because I can’t figure out what other uses used for their “standard portion” baseline. Save 10% and create your healthy diet. Save 10% and access all Recipes & Meal Plans. Unlock all the premium features now!